MintChip, a digital currency, was designed by the Royal Canadian Mint in 2012 with the aim of facilitating exchange of value between consumers and merchants in real time and reduce cost and risk of financial transactions. 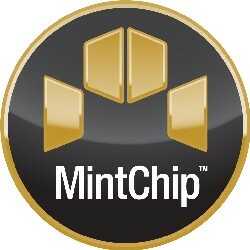 MintChip was then acquired by nanoPay Corporation in December 2015. Convenience: Consumers in Canada are able to pay for goods and services with their MintChip-enabled app at participating stores with a tap or quick scan of their phone at checkout. Real time transactions: MintChip transactions take place in real time and also eliminate the costly chargebacks for merchants. 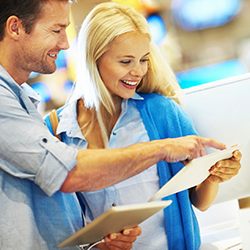 Security: MintChip enables consumers to securely store and move cash digitally. This platform creates a digital representation of cash that is stored in a digital vault. It then encrypts the payment data and processes it instantaneously, reducing risk and eliminates chargebacks for merchants. Low transaction fees: Today, transaction fees on credit card payments or peer to peer transfers are variable and can add to the cost a merchant and a consumer incurs. MintChip charges a fixed transaction fee per transaction which is much lower than the closest alternative. By using MintChip, both the merchant and the consumer save money while carrying out their respective transactions. To receive more about Ingenico Group’s partnership with nanoPay for MintChip, please click here.